If you’re like most people, you’ll need a car loan or car lease to purchase your next car, regardless of whether it’s a new Jeep, Dodge, Chrysler or RAM, or other gently used car. 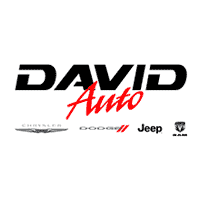 The David Dodge Chrysler Jeep RAM finance team is here to help. Drivers looking for auto loans or Chrysler, Dodge, Jeep, and RAM leases from Delaware to Philadelphia continuously turn to us for the financial assistance they need. Why? Because, word has traveled fast, that we fight to get our customer’s the lowest possible rates, and our service is a cut above the rest. We make it easy and hassle-free to get a car loan in Glen Mills. Our staff will be with you every step of the way as we create a finance plan that fits your lifestyle. Browse our new Chrysler, Dodge, Jeep, and RAM. and used car pages to see our full line of vehicles. You can start the car loan process by filling out the Online Finance Application, or just call us directly.